If someone asked me to name three important grooming items that I absolutely could not live without mascara. Mascara is absolutely essential to my routine and my beauty look. Maybelline is one of the best cosmetic brands that has introduced some of the most amazing cosmetics. It is one of the biggest and super creative brands, producing all kinds of beauty products. 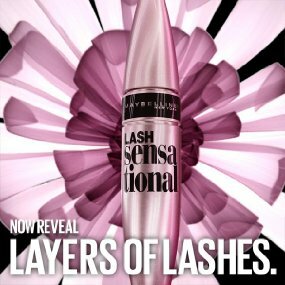 Lash Sensational Maybelline Mascara is perfect for a sensational effect. Maybelline lash sensational mascara was introduced in USA in early 2015. But for it to come to India took more than a year. If you think that there is no such thing as a magic wand then you have never clearly used Mascara. The Sensational mascara features an exclusive fanning brush with ten layers of bristles that reveals layers of your lashes and will give you a full-fan effect. It captures lashes from root to tip just to give you layers of denser and more voluminous lashes. The sensational serum nourishes lashes and unfurls 100% layer with just one swipe. 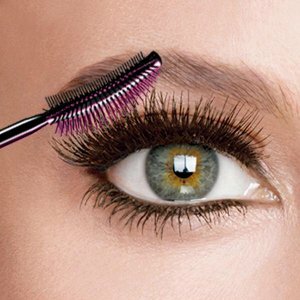 The Inner brush reveals every lash while the outer bristles fan out lashes. Liquid Ink formula coats from all sides. This will give your eyes a dramatic and will give a super black in color to your lashes. It will separate your lashes and also provides a lengthening effect. The wand is way too comfortable when applying, it reaches roots easily, and makes every strand covered. Sweep from the root to tip of lashes. Easily remove mascara with Maybelline Expert Eyes with 100% Oil-Free Eye makeup remover. I know after knowing so much you really want to add this product to your vanity box. Click here to buy it.